Why can’t we all just be happy for Tori Spelling and her baby news? 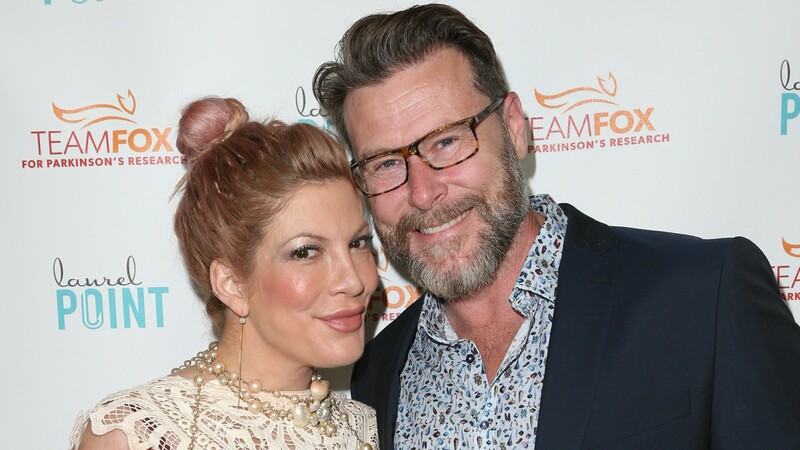 Her rep confirmed the happy news that Spelling is expecting her fifth child with hubby Dean McDermott. They’re already parents to Liam, 9, Stella, 8, and Hattie and Finn, both 4. After years of marital trouble and financial issues, this has to be happy news for the family. But the internet can’t just be happy for Spelling and her exciting new baby news. When Page Six tweeted an article about Spelling’s pregnancy, the comments posted in reply were beyond harsh. Twitter users seemed to take recent news of more money troubles for Spelling and McDermott as an invitation to judge them for having another baby. Yeah, LOL. Super funny to make fun of complete strangers online for expecting a child, something that should be a happy event in their lives. This is the second time Spelling and McDermott have made headlines this week. Previously they were ordered by a judge to pay nearly $50,000 to American Express, who sued Spelling for unpaid bills dating back to early 2015. The timing of that news and the pregnancy announcement probably have a lot to do with all the hate Spelling and McDermott are getting now. But still, trashing someone for having a baby is just rude. Don’t you have better things to do today, internet? Leave these two to celebrate their happy news in peace.